Jonathan Fenby is a former editor of the Observer and South China Morning Post and a founding partner and Managing Director of Trusted Sources research service. He is the author of several popular books on China, including the acclaimed Tiger Head, Snake Tails and The Penguin History of Modern China. "An excellent, current guide to the challenges and dangers ahead for modern China." 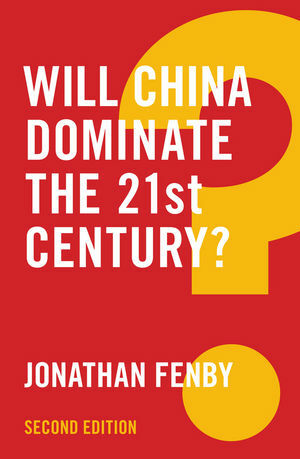 "Fenby's new edition penetratingly punctures the myth that China is on the verge of becoming a major world power – to the contrary, the author identifies a plethora of factors that holds China back in its quest for greatness. His sobering analysis is not pessimistic, it is realistic. All analysts – from scholars to investment fund managers to government officials – would do well to carefully read this book." "A concise, eloquent and hard-hitting corrective to claims about China's coming world dominance by one of the country's most astute observers."